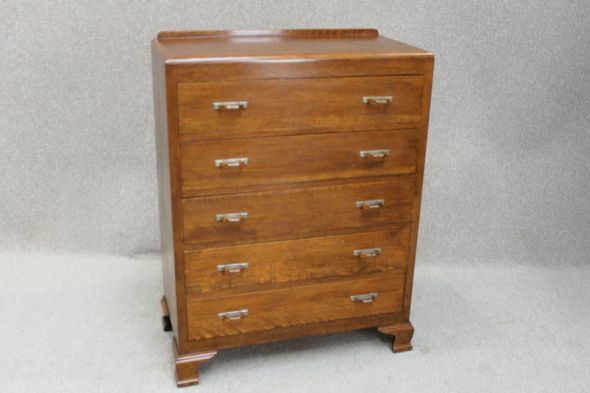 A beautiful circa 1930s classic oak art deco chest of drawers. Featuring five graduated drawers; all fitted with their original Bakelite and chrome handles. A lovely stand alone piece, or to match up with existing art deco furniture. This chest is in lovely condition for its age.